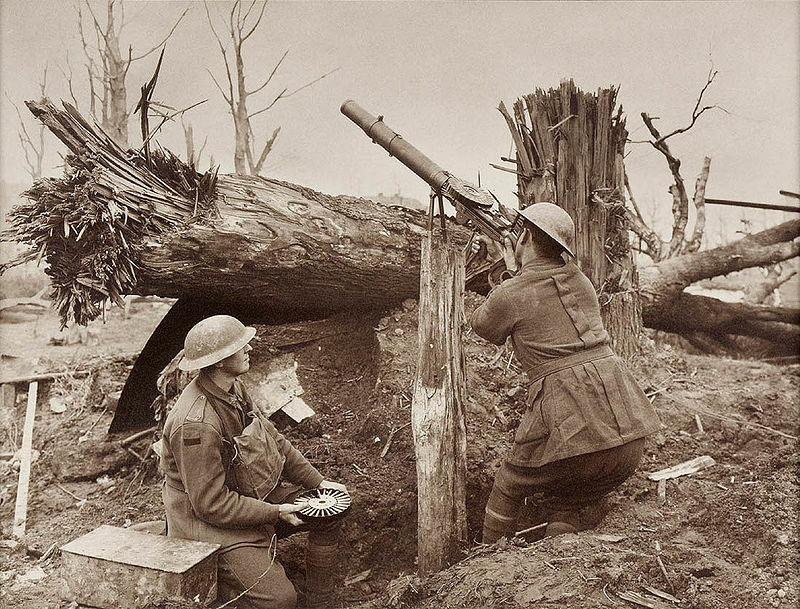 Avancept – World War I, which began 101 years ago this August, was the first industrialized war. Inventors, engineers, and financiers turned factories into giant machines for producing the weapons of war. As an industrialized process, many of these inventions were protected by patent. Strategies for conducting the war failed miserably, which often occurs when strategies fail to keep pace with innovation. We provide 5 complete copies of these patents and their stories below – the Lewis machine gun, the Brodie helmet, the flamethrower (invented in Germany, ironically patented in Britain), the gas mask, and the submarine. The war began 100 years ago on 28 July 1914 when the Austro-Hungarian Empire declared war on Serbia following the assassination of Austrian Archduke Franz Ferdinand by Serbian Gavrilo Princip. Britain joined the fray 100 years ago today, 4 August 1914. The war would eventually engulf more than 30 countries. Industrialization and related processes enabled enormous strides in military technology from the end of the US Civil War in 1865 to the beginning of World War I. The loss of more than 9 million lives on the battlefields alone is often attributed to military leaders clinging to old tactics and not fully embracing the potential of the new weapons actually deployed on the battlefield. The Machine Gun – An American-designed machine gun became the preferred automatic weapon of the British Army during World War I. The Lewis gun was designed by Col. Isaac Newton Lewis in 1911 and patented (as shown below) in the United Kingdom in 1915. Machine guns had existed since the 1860s, but the Lewis gun added a number of features that improved the overall performance of the gun. The Lewis gun was so versatile that it was used in the trenches, used as in anti-aircraft defense, and was the primary airborne weapon for Allied aviators. The Lewis gun functioned so well that it was used as late as the Korean War. The Lewis gun was not the preferred machine gun for the US Army, despite its American inventor. Col. Lewis had trouble getting the US Army to accept his weapon, apparently because of a personality clash with the head of Army ordnance. A few years before the war began, Col. Lewis resigned his post, moved to Belgium, and began working with the Birmingham Small Arms Company (BSA) on perfecting his design for industrial manufacture. The Belgians adopted an early version of the Lewis gun, but Col. Lewis acquired a fortune when the British Army accepted the gun. He reportedly declined royalties for the versions of the Lewis gun later acquired by the US Army for the war. The Brodie Helmet – Soldiers in the early years of the war had very limited head protection. British soldiers wore cloth caps, and German soldiers wore leather Pickelhaube hats. Neither piece of headgear provided much protection against shrapnel and other flying debris. Englishman John Leopold Brodie invented the steel helmet worn by British, Commonwealth, and American soldiers. The helmet had the advantage of being stamped out from a single plate of steel. The French developed steel helmets slightly before the British after seeing so many of their soldiers succumb to lethal head wounds. The British agreed that the French were on the right track with a steel helmet, but the War Office decided that the French model would be too difficult to manufacture and set about to find a simpler design. Londoner John Brodie presented a design that was loosely based on the medieval kettle hat. 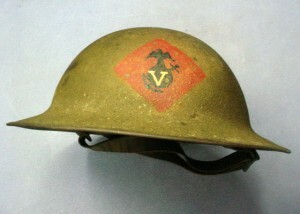 The Brodie helmet saw its first use on the battlefield in 1916. The design was improved other the years and continued to be used by the British through World War II. As shown in the patent below, the UK Patent Office granted Brodie the patent on his helmet in 1916. The Flamethrower – World War I saw the introduction of a whole new range of devastating weapons. Many of these weapons were developed in the years prior to the war. 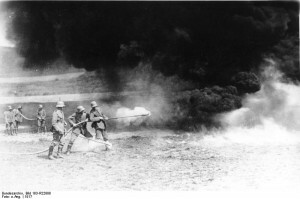 The flamethrower, for example, was developed and patented by German Richard Fiedler in the years prior to the war. Fiedler invented several versions of the flamethrower (Flammenwerfer) in 1901 and submitted his design to the German Army. Fiedler continued to make improvements on his original design, including the patent below, which was submitted to the UK Patent Office in 1910. At the time of Fiedler’s application to the UK Patent Office, no one knew that a mere four years later the device would be used against British soldiers. The flamethrower proved to be so successful that all the warring nations eventually employed them. The Gas Mask – Poison gas represented another horrible weapon that was introduced during World War I. Poison gas had already been banned by the Hague Conventions of 1899 and 1907. At the beginning of the war, Germany had the world’s largest chemical industry, and the temptation to apply this industry to war proved too great. Many of the other warring nations also deployed gas weapons eventually. Nobel laureate chemist Fritz Haber applied his skills to develop various poisonous gases for the German army. The large scale use of poison gasses began during the battle of Ypres in 1915. Gas masks and respirators had been invented as early as 1799 by Alexander von Humboldt. The modern gas mask was invented by American Lewis P. Haslett in 1847. As poison gas technology developed, countermeasures like gas masks and respirators were developed. 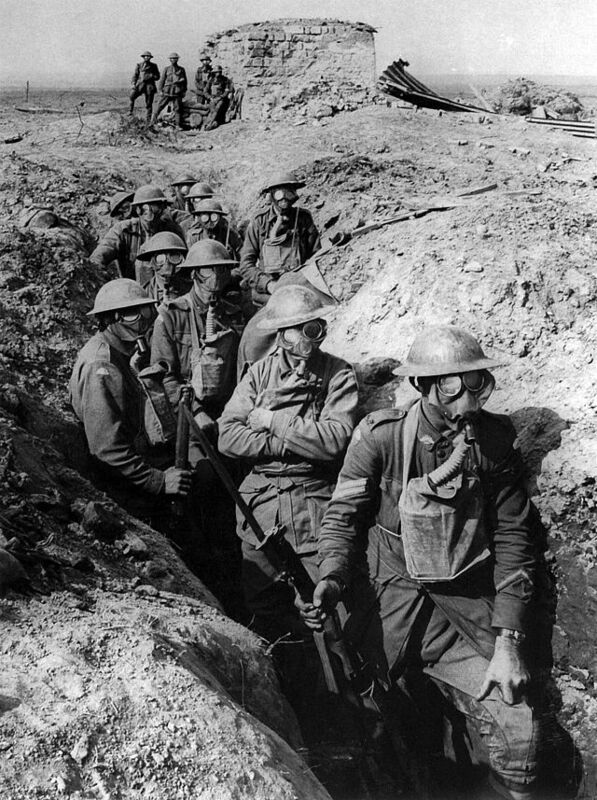 A number of inventors are credited with the development of the first successful military gas mask. These inventors include American James Bert Garnet and British scientist Edward Harrison. Their designs benefited from the work of African-American inventor Garrett Morgan who obtained a patent in 1914 on a simple device that allowed its wearer to breathe the presumably safer air found on the ground. A copy of Morgan’s patent is found below. The Submarine – The war at sea also relied upon an assemblage of technical improvements aggregated from disparate inventions created over several hundred years. 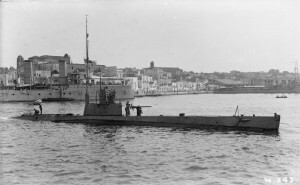 The submarine represented one naval weapon whose practical development had occurred since the last major war and had not yet been used to any substantial degree in warfare. Versions of submarines have existed for several hundred years, but none of those early designs could be deployed on a massive scale. The submarine deployed by the Royal Navy and the US Navy comprised variations of the Holland type submarine. Inventor John Philip Holland developed his first submarine in 1876 and continued to make improvements until he developed the Holland Type VI submarine in 1896. Holland, who obtained more than 20 patents related to submarines, died on August 12, 1914, just as the war began. 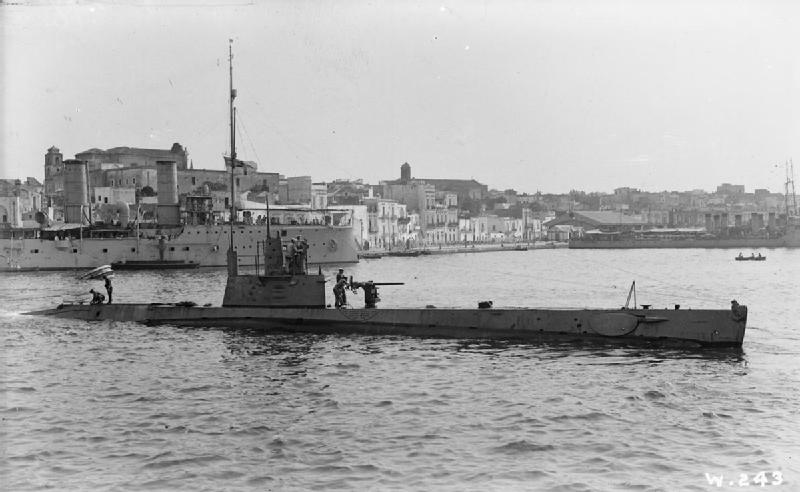 World War I is known for the German U-boat campaign. Many of these designs were also the subject of patents filed throughout various European countries. Conclusion – As has been noted, war often results from a failure of diplomacy. Human ingenuity continually applies itself across a wide range of areas. Sometimes the improvements outstrip the abilities of managers to understand them properly. World War I represents one of the great failures of managers to understand the very technologies they had commissioned. The same phenomenon occurs in companies, too, when old strategies fail in their ability to absorb and apply new technologies. The results of failure in the corporate world, while more frequent, are fortunately less severe than the failures that lead to wars. Please find below full copies of the patents for the five World War I inventions that we have discussed above. The Lewis gun courtesy: Wikipedia. The Brodie Helmet courtesy: Wikipedia. The gas mask courtesy: Wikipedia. The Holland submarine courtesy: Wikipedia.